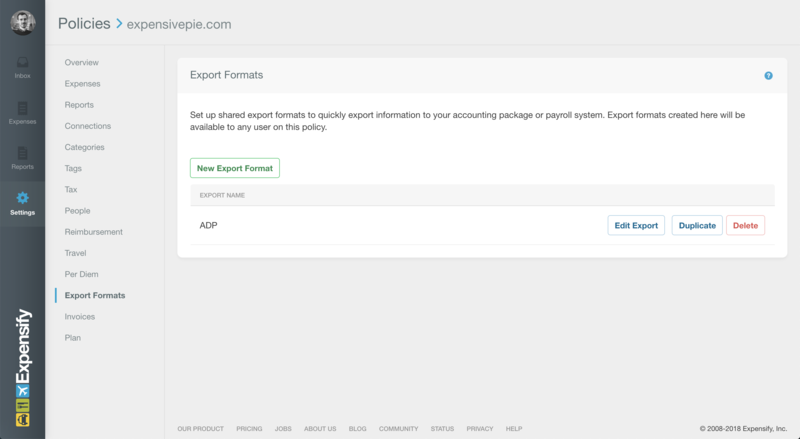 Expensify integrates with ADP using our custom CSV export format. This method is intended for companies that would prefer to reimburse reports outside of Expensify. You must have a Control Group policy in order to integrate with ADP. 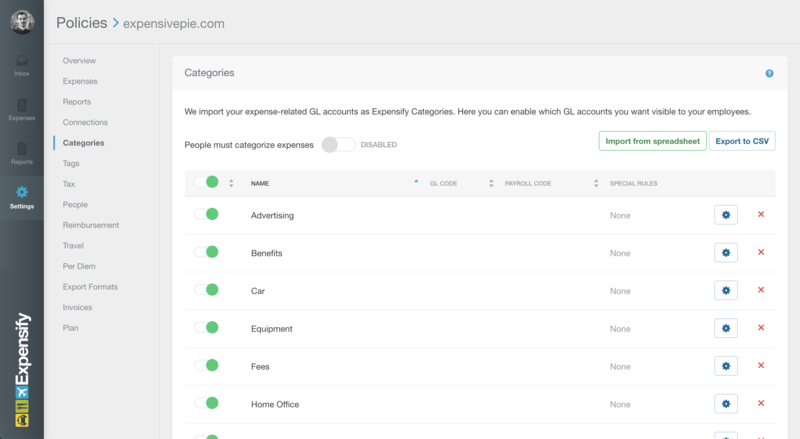 There is an ADP File # for each employee that you’re tracking in Expensify. In “RUN Powered by ADP,” you will find the File # on the Reports tab > Tax Reports > Wage > Tax Register. 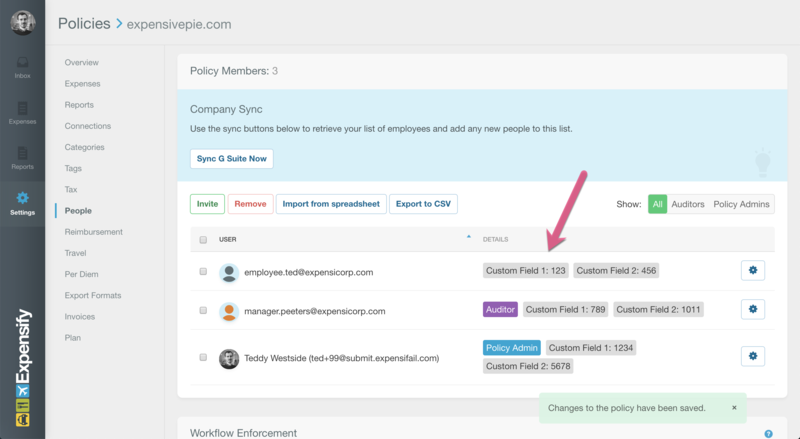 The Earnings 3 Code is the ADP code that corresponds to a payroll account you’re tracking in Expensify and needed to export back into ADP for payroll. The Earnings 3 Amount is the total of a given expense you’re sending to payroll. The File # is entered in the Custom Field 1 or 2 column in the People section (this is below the Categories section in the Policy Editor). When you’re ready to close your bi-weekly payroll period, and export your expense report information from Expensify to ADP, you’ll need to have the correct export format setup. Step 3 lists the column order for ADP. This step will show you how to create this setup in Expensify. To create your own ADP export format, you’ll need to click the “add new export” button. When you click the “add new export” button, you’ll be taken to our Export Editor. The first step is to delete the existing default columns by clicking the red “x” button that appears next to each column. Then you’ll add the five new columns you see below. The Company Code column in hardcoded with your company’s code in ADP. Similarly, the Batch ID is hardcoded with whatever Batch ID your company is using in ADP. The rest of the columns will use the formulas provided in the screenshot. You can also find these formulas in our Formula Help box (located on the Export Editor page). Note: If you have any trouble with this step, please email us at concierge@expensify.com and we’re happy to automatically add the ADP export file to your account. Good news! This is the easy part. Just go to your Reports page, choose all the relevant reports you’d like to export, click on the “export to…” button and select the name of your ADP export file format. Once the file has been downloaded via your browser, you will be able to upload it directly to ADP. You should not need to manipulate the file in any way before uploading.